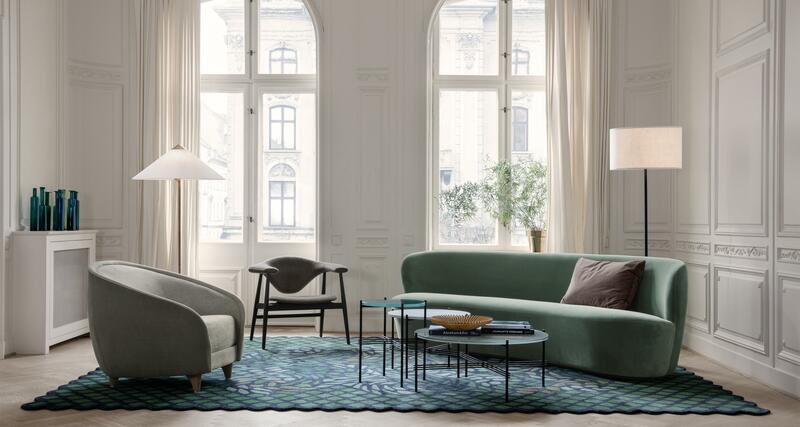 The new Gubi Revers Sofa is a soft and sinuous interpretation of classic shapes and structures. Taking its name from the silhouette of a revers, the gently curved shell appears like a jacket that embraces you, while the elegantly sweeping edges are reminiscent of the form of the revers. Brass detail on the bottom of each leg. Available in fabrics by Kvadrat, Gubi, and Dedar. The Revers collection consists of a lounge chair, two seater and a three seater sofa.